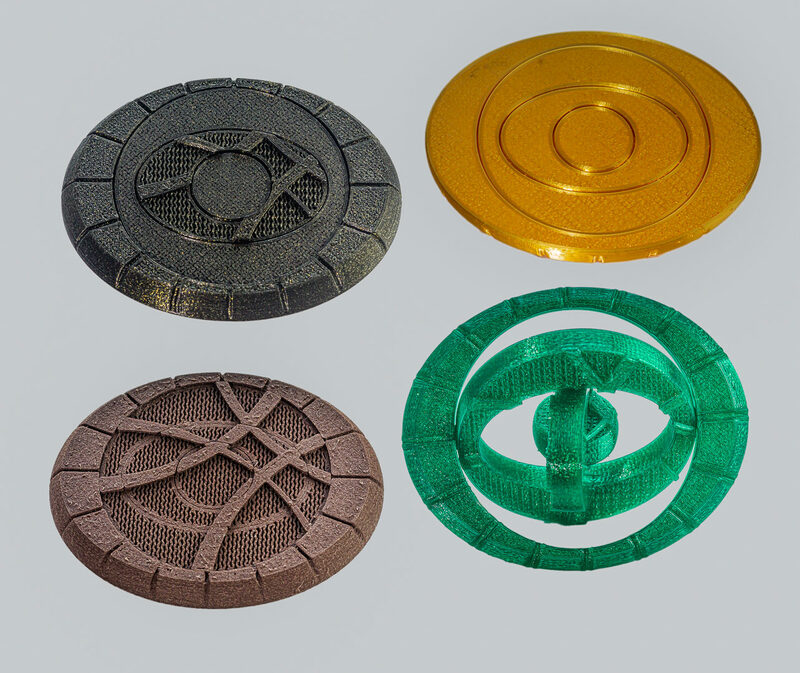 Description: Maker coin design inspired by the Eye of Agamotto from Dr Strange (this is not a replica, but a variation of the composition). Each coin is a single print, one filament, the different top surfaces are created through slicer settings. Four sections rotate independently on opposing pivot points.